Lee-Anne looks after all of her clients Accounting and tax needs with a special focus on compliance requirements – giving assurance that the correct systems are in place for timely and accurate reporting. She has over thirty years experience in the development and management of computerised systems. 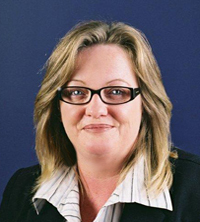 With a deep knowledge of commercial accounting packages, she regularly works within the client’s business to advise and assist in the setup and ongoing support of computer systems.